Eugenio Bettucchi has a degree in Building Engineering & Architecture from Alma Mater Studiorum, University of Bologna (IT). He developed his thesis focusing on robotic material deposition based on real-time feedback between digital simulation and physical environment. 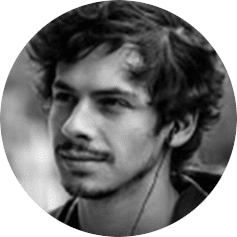 Currently, he is a senior designer at Noumena and his interests and skills lie in computational design, digital fabrication and the way in which these systems interact. During his studies, he assisted several seminars and courses as external faculty at IAAC and collaborated in many workshops & research projects in international events related to the computational and fabrication fields.